Thank you for your interest in our Lawrenceville, GA law firm. Our Lawrenceville practice is focused on helping persons that have been injured in car wrecks and tractor trailer wrecks. 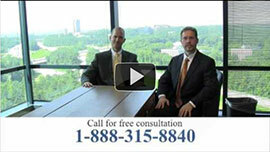 Our lawyers are seasoned trial lawyers and we have tried cases in Lawrenceville and surrounding areas. Lawrenceville is a city in and the county seat of Gwinnett County. The City of Lawrenceville was incorporated the Georgia General Assembly on December 15, 1821 which makes Lawrenceville one of the oldest cities in the Metro Atlanta Area. The city is named after Commodore James Lawrence, commander of the Frigate Chesapeake during the War of 1812. Lawrenceville’s original town square remains the heart of downtown. The City began an expansive revitalization beginning in 2005, and still maintains a healthy respect for her past while heartily embracing the future. Our lawyers specialize in personal injury and we do not handle any claims other than injury claims in the Lawrenceville metropolitan area. We have over 40 years of combined experience and we are proud to assist you in your personal injury claim. If you are not able to come to our location we will gladly meet you at your home or another location convenient to you to discuss your claim. Our results speak for themselves!